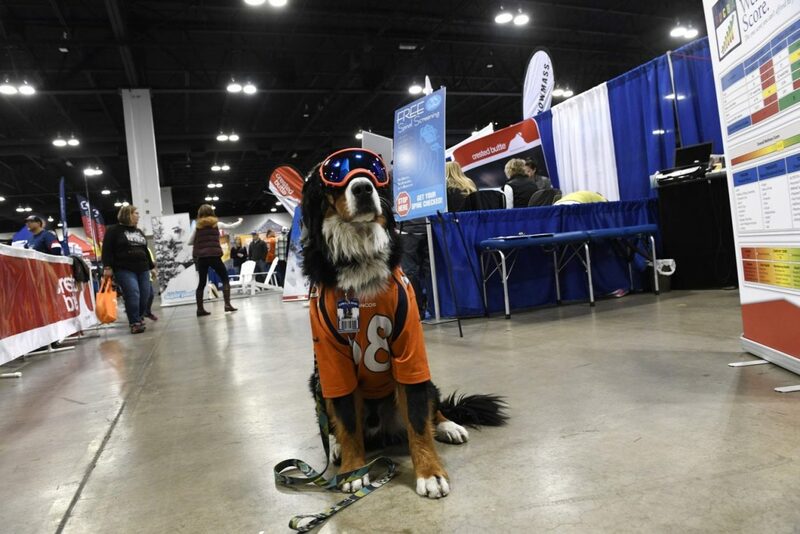 Parker, the Loveland Ski Area mascot, shows off his made-for-dogs goggles by Rex Specs during the 26th annual Colorado Ski and Snowboard Expo at the Convention Center on Nov. 12, 2017. The 27th annual Colorado Ski & Snowboard Expo will take over the Colorado Convention Center this weekend with a new primary retailer offering deals of 20 to 70 percent off unsold gear from last year’s inventory. Gone is Colorado Ski & Golf, which was the show’s centerpiece purveyor of skis, snowboards, boots, bindings, clothing and accessories since its inception in 1991. 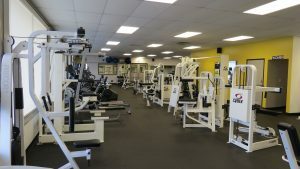 It has been replaced by Sun & Ski Sports, a retailer based in Texas. 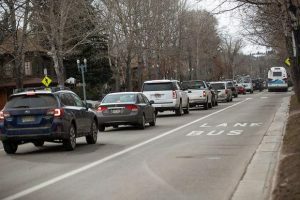 Because last year wasn’t a great one for ski and snowboard gear sales, there’s a lot of leftover material that needs to move to make room for this year’s product lines, so the savings may be even bigger than skiers and riders saw at the Labor Day sales, according to a spokesman for the expo. Sun & Ski Sports also has a deal sweetener: If you buy a ski or snowboard and bindings, you can bring in your boots and they will mount your bindings for free. Colorado Ski Country USA will have a First Timers Center to answer questions from newbies about resort ticket packages, season rentals and even how to dress for skiing and riding. The expos will offer fun activities, too: obstacle courses, trampoline exhibitions, a longboard demo course and a beer garden with live music. Read more about what to expect at the Colorado Ski & Snowboard Expo from The Denver Post.